Paintings by Rachel Austin, on Etsy! Great art from a lovely seller starting at only $25. You have to visit her website, she has a beautiful portfolio, you'll enjoy browsing it. Rachel?s paintings invoke a sense of untouched beauty, simple yet bold, but never over the top. 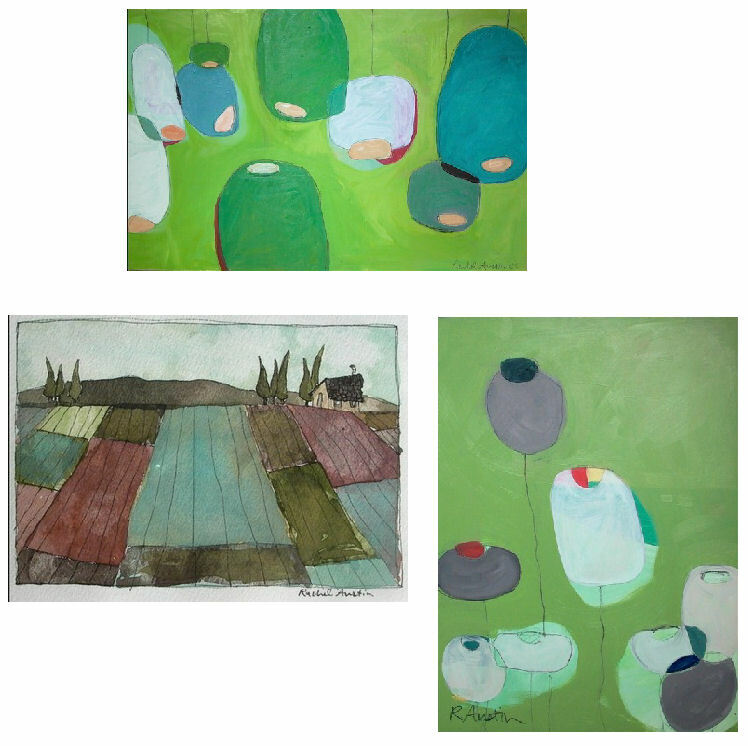 I love the shapes and colors that she uses, and in addition to her oil paintings, she uses various other mediums, such as watercolor and mixed media. Her oil paintings are my favorites though, just look at these, stunning!